As families grapple with the increasing cost of college – while watching their family incomes remain flat – Valencia College has enacted a new policy, aimed at ensuring that the cost of college remains affordable. 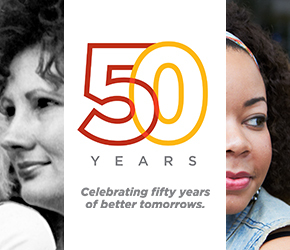 Valencia College’s Board of Trustees recently approved the new policy, which mandates that college officials consider affordability and cost to students when designing new degree programs and courses. Among the items to be examined will be the cost of textbooks, lab fees and other student fees, as well as the percentage of students who take out student loans. 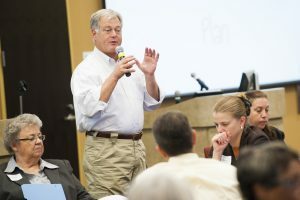 Sandy Shugart, president of Valencia College, says the college needs to keep exploring ways to make college affordable. 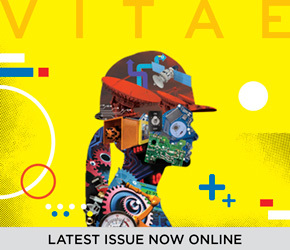 Because tuition at many state and private colleges and universities has escalated dramatically over the past 20 years, “high-access, affordable colleges like Valencia carry a special responsibility to carefully steward their affordability and access and to build pathways to other institutions, lowering the overall cost to all,” said Sandy Shugart, president of Valencia College. To track its progress, Valencia College will now begin benchmarking affordability measures on both a national and local basis, tracking and publishing those results annually, and integrating affordability into the college’s annual budget process. “Unfortunately, the public and media discussion about the costs of college distorts the real situation,” says Shugart. Many Americans do not realize that public, four-year colleges now cost twice as much as public, two-year colleges (such as Valencia), says Shugart, and they’re unaware that private, four-year colleges cost 10 times as much as two-year colleges. While Valencia’s tuition is already among the lowest in the state of Florida – at about $3,200 a year – the college is addressing other factors that can also increase the cost of college. Textbooks, for instance, sometimes cost more than tuition for a course. Since 2010, Valencia College faculty members have used a variety of methods to reduce textbook costs, from bulk purchasing to using textbook alternatives, such as open-source books. From 2010 to 2016, Valencia College cut the average cost of textbooks 47 percent – from $127.38 per class in 2010 to $67.68 by 2016. The new affordability policy also mandates that, as Valencia adds bachelor’s degrees to its lineup of degree programs, college officials examine ways to make each new degree affordable, through the use of online classes, more affordable labs, and access to financial assistance. Although the cost of a bachelor’s degree at Valencia is already among the lowest in the state – under $13,000 for a four-year degree for Florida residents – Valencia officials are working to ensure that the other costs remain affordable as well. 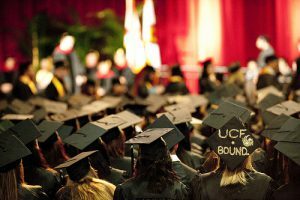 Valencia students who transfer to UCF through Valencia’s DirectConnect to UCF transfer partnership also save thousands of dollars on the cost of a bachelor’s degree. Today, students can earn an associate’s degree at Valencia and then transfer to UCF, reducing the total tuition and fees to under $20,000 for four years of study. But Valencia officials plan to work with UCF officials to reduce the number of students taking excess classes – and ensure that students meet their degree program’s prerequisites prior to transferring to UCF – both factors that increase the cost of earning a degree. Valencia officials will track those figures each year. And, though 40 percent of Valencia students pay nothing out of pocket for tuition and fees, thanks to Pell grants, scholarships or tuition waivers, the number of Valencia students who incur student loan debt has increased in recent years – as has the amount of debt they are taking on. To tackle the problem, college officials will step up efforts to educate students on strategies to reduce or avoid debt altogether. In addition, to reduce students’ reliance on loans, the college will provide more scholarships and grants from the college’s foundation and other sources, according to the plan laid out by Shugart. 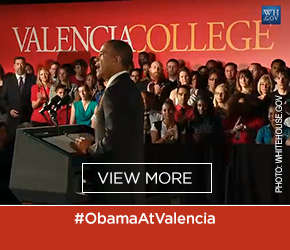 In addition to those efforts, college officials will begin communicating more aggressively about the low cost of a degree at Valencia and the value of workforce degrees, such as the college’s Associate in Science and Bachelors of Applied Science degrees, that lead to employment opportunities. The college will publish its first affordability report in spring 2019.